Make Beautiful Collages Out of Your Photos in an Instant ! The art of making collages has been around for years, but its appeal as one of the most popular art forms that people like to make certainly hasn’t dissipated with the passage of time; on the contrary, it has only undergone a robust resurgence of interest. And, this fact could not be more obvious in the fact that multiple app developers are designing and creating collage makers. 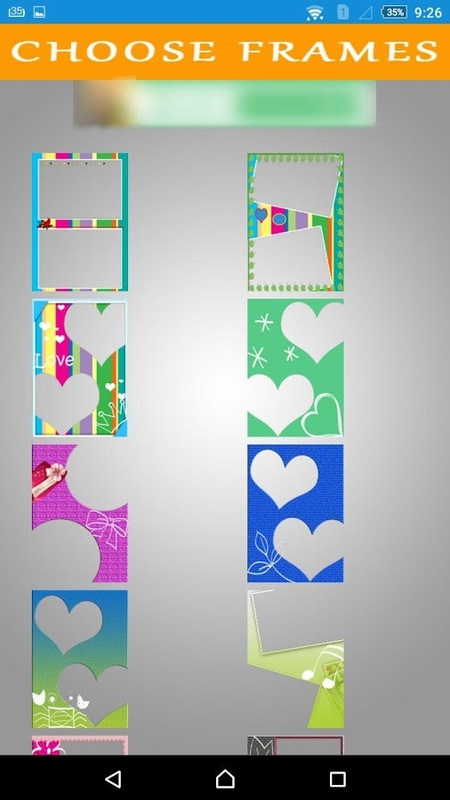 One of the most sought-after variations of collage makers is the photo collage maker app, where users can simply upload their photos and incorporate them into frames, which have a theme that suits a specific occasion (may it be a birthday or Valentine’s Day). Many of us, especially in this day and age when photos can be conveniently taken at any instant, like to beautify our photos more by doing this. But, not all of us have the time (or skill) to make our own frames. 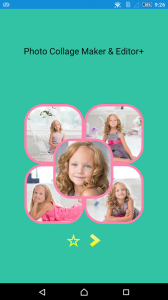 Thus, App Appa created developed Photo Collage Maker & Editor+. The general workings of the app are easy enough. You simply have to choose the frame that suits your fancy. Take note that each frame has a different design, color combination, and frame shape, most of which are based on a certain theme (nature, love, etc.). It is entirely up to you to decide which combination works best with the photo that you’ve taken. Once you’ve decided on a frame, you will now be taken to the editor interface. At the upper part of this window, there are four main icons. The first, which showcases frames, allows you to upload the photo that you wish to make a collage of. The second icon can be selected if you intend to take the photo that you want to edit first. The other two icons lets you share the finished collage and save it on your phone’s SD card respectively. Once you have chosen the photo, you can edit and align it in the frame that you’ve chosen until you are fully satisfied with the look. The features that make Photo Collage Maker & Editor+ an app that stands out on its own, compared to other photo collage maker apps available in the Play Store, are its numerous collection of unique frames (which is consistently increasing due to regular updates), the instant sharing capability, and the ability to save the finished work into the user’s own phone storage; a major plus since most users nowadays want to be able to share their work as soon as possible. Overall, this app is an app that is perfect for creating photo collages that you wouldn’t be ashamed to share with your loved ones and friends. You can even make instant gifts out this truly useful tool, without much effort and cost.